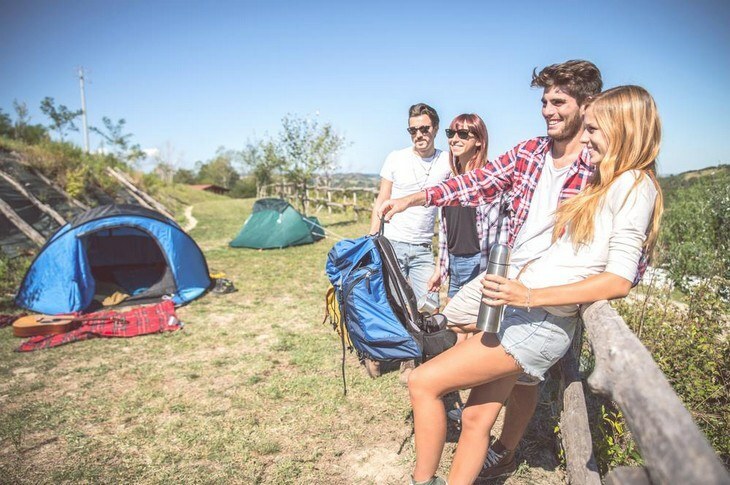 Camping is an outdoor trip everyone loves! It is an exciting adventure for you and your friends. 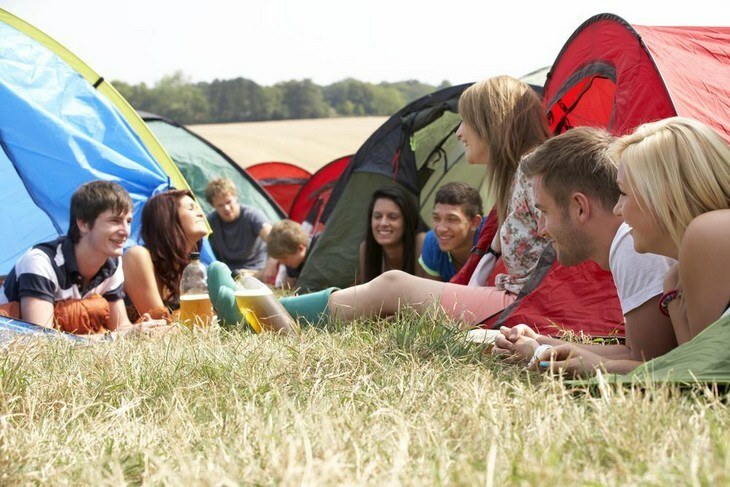 Even for adults, camping can still provide bliss and quality leisure. And to do this, playing campfire games for adults is a must! Campfire games are not strictly for kids only! If they are fun for children, then the same goes for the adults. We grown-ups may have grown maturity over the years of our existence, but heck, we still love to play. And this fun tendency of ours is clearly seen in our avid love to computer games, android apps, and consoles. ​Even for outdoor adventures, it is not just about communing with nature. We like to relax outdoors, especially if we want to take a break from our hard lives in the urban jungle. And to efficiently rest our bones, then having campfire games for adults are a new requirement! 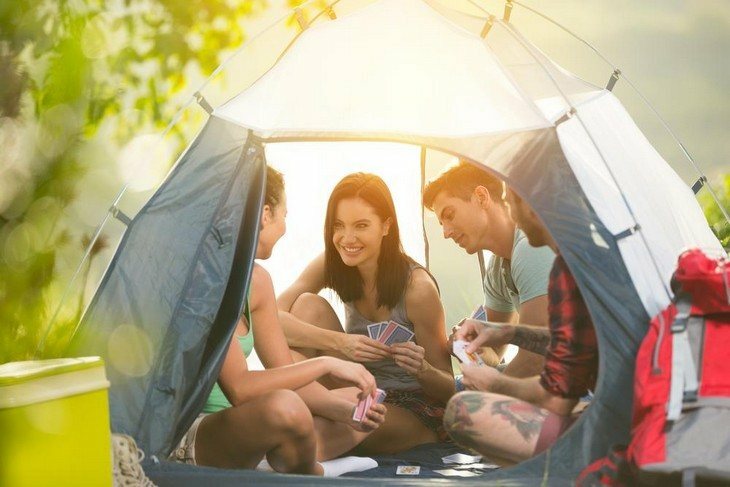 We have listed some games that every adult would love to play around the campfire. Of course, your friends and family should be around you to make these games possible. And the greater your numbers are, the better! So here they are! Even since we are young, this game is already in existence. Perhaps even our parents were able to play this game! The Twenty Questions is a favorite game, especially around a campfire. The game starts when a person is chosen to become the one will answer the questions. Then, he or she will pick a well-kept secret object. Everybody else will ask questions. They can take turns in asking queries. However, the only answer can be "yes", "no" or "maybe" if the first two is inappropriate. One rule: The one who will answer should not lie! Most of the common questions that are asked in this game are for the purpose of guessing what the object is. Those that have the role of asking have a limit of twenty questions. If they fail to figure what object or subject the answerer-er is hiding, the latter wins the game. He /she will still have the same role in the next round. If someone was able to guess it before the 20 questions, he/ she will win the game and will take over the role as the answerer! Make Me Laugh is 100% certified one of the best campfire games for adults. This game is easy to play and has simple rules. The only thing that you have to do is to make people laugh while preventing yourself from doing the same. You need a large group if you want to play this game. You have to divide your group into two teams and choose which team will be on the stage first. Pick one individual from the opponent team to be the recipient of the team on the stage. There is only one goal that the team on the play has to do, and that is to make that recipient burst out in laughter! Take note: Make that person laugh. Giggling and smiling should be disqualified. If we are to suggest for your game, you should make a rule that when someone shows his/ her teeth, he/ she should be out! Teamwork is necessary when playing with this game. You can do it individually but making fun with the entire team can increase the chance of making that person on the hot seat laugh! However, you are not allowed to make fun with the other team. When the person on the hot seat cracks, his/ her team will be on the stage and switches role. If the person on the hot seat can keep his/ her composure for two minutes, that a score for his team. 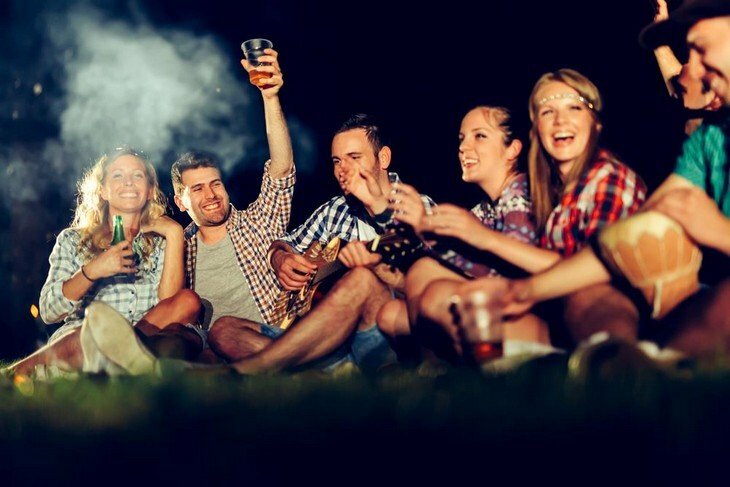 This is one of the simplest campfire games for adults if you have a musician in your group. Name That Tune originated from a game show that has different variations of rules. 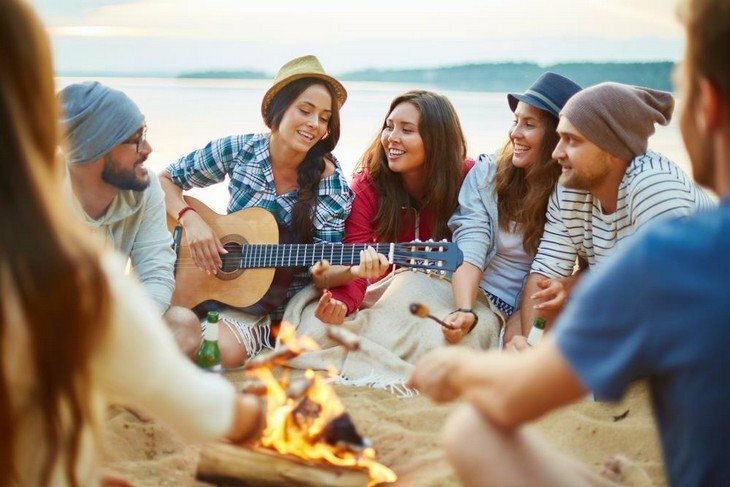 When you are in a campfire, let that musician your group sing a certain song. The one who can guess the song wins. It is better that you will give special prizes to the one who can gather more points. In this way, the game would be more exciting and competitive! If no one from your group wants to sing, then you can just use a music player with speakers, preferably. Name That Tune is more fun if the songs that are being played are novelties and are most familiar to everybody. By doing this, you can ensure that everyone will participate! The rules for Two Truths and a Lie is pretty straight-forward. Everyone in your group should share three things about themselves. The two of these should be facts, and the remaining one should be a lie. Each of the group should guess which one is the fake fact. Now, since we are all adults, we should make this game for sizzling and exciting. You could utter more intimate and profound facts that would intrigue everybody. You could even say some secrets that would blow anybody's mind! The more creative your ideas and facts are, the more fun and exciting this game would turn out. 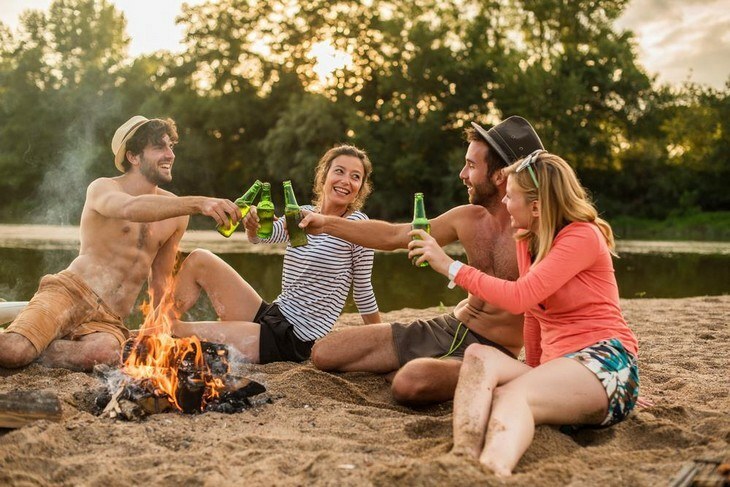 Because of these rule variations, the Two Truths and a Lie is one of the best campfire games for adults! Oh dear! Who doesn't know this game? Since time immemorial, Truth or Dare has been played by many children. These kids would become adults and eventually would turn out to be grandparents or even greater! Generations after generations, this game, would not just die because it is simple but can unleash the greatest of giggles and memories. In campfire, the game's excitement can elevate at some degrees. Several variations can be done. Well, nothing can be lost since all of you are adults already! So adding spice to the questions is nothing for you to worry!. And if someone chooses the "dare", let the consequences be a little dirtier. After all, you are in the outdoors and the whole environment is at your disposal! 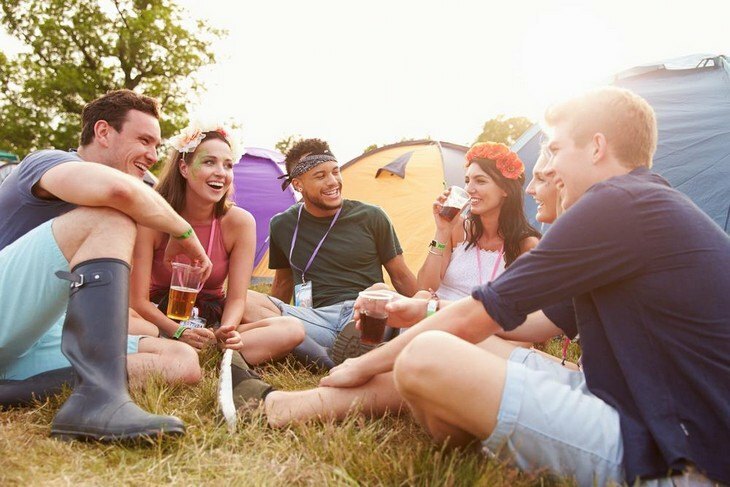 Telephone, or sometimes famous as Pass The Word or Word Relay is one of the easiest campfire games for adults. You will choose someone to think of a phrase or a sentence. Then form a circle or a line, preferably, then that person will relay the "word" to the individual next to him/ her. The funniest part of this game arises when someone fails to deliver the right word. It can be confirmed by the last person when he/ she will relay it to the first individual who made the word. To make this game more exciting, you can form teams and set one person to craft a sentence or phrase. He or she will then relay it to the leaders of the team and the group who can get the word right and the fastest wins! This game is a must during campfire situations. The rules are pretty simple for "I can Tap This Stick Just Right" but many are still doesn't know how to win this game. You take a stick, a pen, or any object that you can in any pattern that you want. The goal here is for anyone to be able to copy correctly the way you tap the object. However, here is the catch. It is not about the tapping alone that will ensure your victory. It is by mimicking perfectly how the person in charge will clear his throat before he taps any object. If you are the person who will do the tapping, make sure you will clear your throat subtly. Make distractive motions such as finger twitching and hand ways so that they won't see the real action that they should mimic! This will stir the mind of your group. And the same time, will crack the laughter and ensure the creativity of everyone! Let them keep on guessing! Dead Fish is one of the most hilarious but thrilling campfire games for adults. That is certain. The rules are pretty simple. Stay dead and be lifeless as you can. Choose one person who will do the observation while the rest will play dead. As participants of this game, preventing you from getting out is somehow tricky. Unnecessary motions and slight movements can kick you out of the match. Therefore, you need to stay still and lifeless, just like a dead fish! The fun starts when those that were tagged out will start making fun of the remaining hopefuls until they won't be able to contain themselves and move! The last dead fish will be declared as the winner and will take the role of the person observing! In the concept of having fun, nobody is excused, especially adults. That's why for outdoor trips like camping, playing campfire games for adults is encouraged. 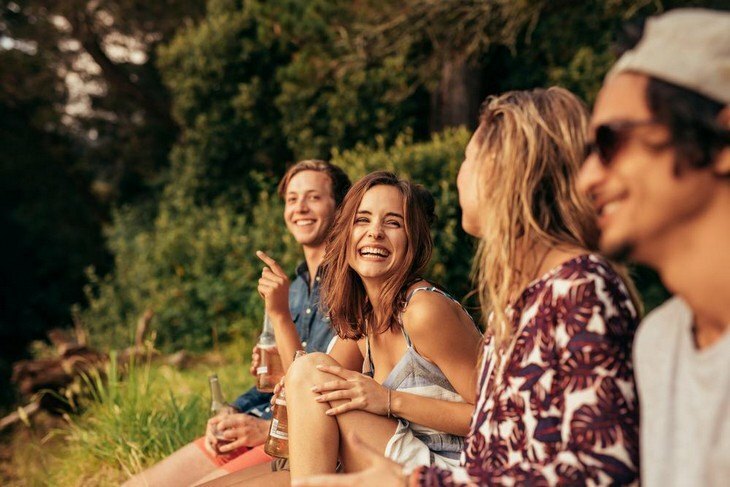 By doing this, you are not only making your adventure more frolic, but you are also creating more memories and bonds with your friends and families. After all, adults deserve to be happy too! To ensure that you can have more fun while outside, cooking with the best camping grills is a must! If you have any comments, questions, and suggestions, ask us! We love to hear from you!